The New Chesapeake Kitchen has been chosen by OpenTable as one of The 11 Best New Restaurant Cookbooks of 2018! Chef John Shields is the co-owner and proprietor of Gertrude’s Restaurant at the Baltimore Museum of Art. Gertrude’s proudly celebrated 20 great years there on October 1, 2018. You can see the hilarious and touching ceremonies right here. Often called "The Culinary Ambassador of the Chesapeake Bay," John has written multiple cookbooks on the cuisine of the Chesapeake region. The host of PBS’s Chesapeake Bay Cooking and Coastal Cooking with John Shields, his work has appeared in The New York Times, the Washington Post, Coastal Living, and Southern Living. He is a frequent guest on WYPR radio, local TV and at public events. John is an active member of the Chesapeake Bay Foundation, the International Association of Culinary Professionals, Slow Food USA, the American Institute of Wine and Food, James Beard Foundation, and the Chefs’ Collaborative. 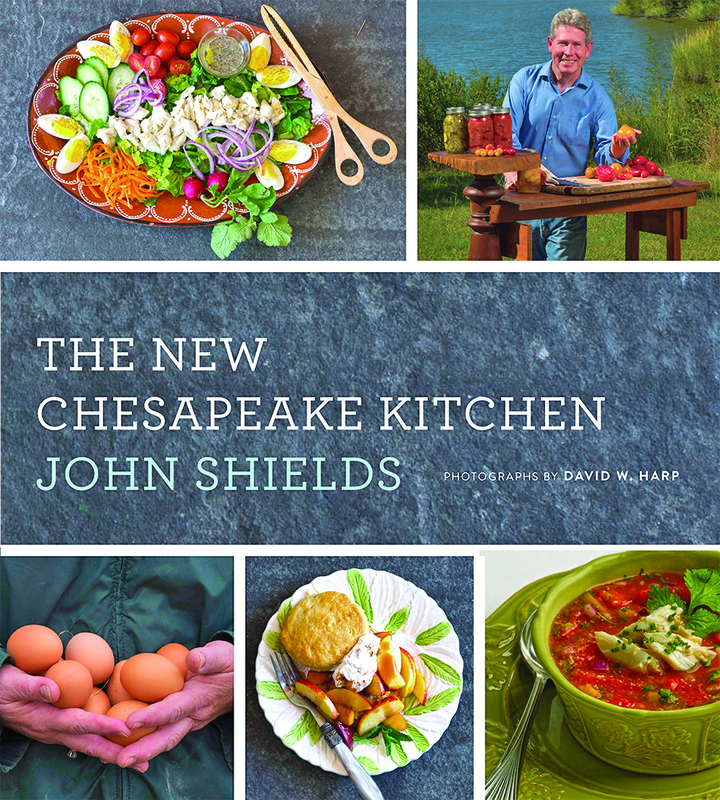 John's newest book, The New Chesapeake Kitchen, published by Johns Hopkins University Press, was relased in October, 2018. Here, John’s decades of exploring and championing the Chesapeake region are presented in a volume that articulates his essential philosophy, as well as his commitment to, and love for the Chesapeake—its land and waters, its people, its history and its food traditions. "John Shields has done an amazing job showing us how to preserve the traditions of the region while also respecting the environment around us—he understands how important it is to maintain our local food economies so that future generations can also know the beauty and the bounty of the Chesapeake Bay." "John Shields Cooks Up The New Chesapeake Kitchen"
Chesapeake Bay Foundation President Will Baker and John Shields discuss the virtues of eating local in the Chesapeake Bay region. Keep an eye out for John in the September issue 2018 of Baltimore Magazine and the autumn 2018 issue of Sip & Savor!